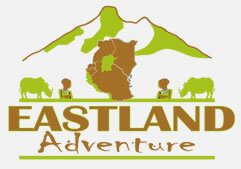 You will be picked from your Hotel at 8:30 am, this morning we drive through Kilimanjaro semi-tropical foothills to Marangu Gate, Spend some minutes for registration and get the permit and then drive to Kilema gate and enter Kilimanjaro National park and start the riding, Up to Horombo Hut. Today is 100% cycling by bike. After breakfast you start your cycling, riding through Alpine desert, some of the areas you will riding on small stone, up to Mawenzi Hut and back to Horombo. Cycling distance 9 Km. today is 90%. Vegetation: Alpine Desert. At 4 am, you will be awakened by your guides to start the zigzag trek up a long screen slope. After roughly two hours you should reach Hans Meyer’s Cave and from here the gradient gets steeper. 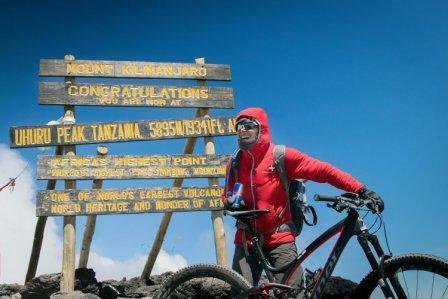 Continue your climb for approximately another 3 hours to Gilman’s Point, You will take your bike from Porters and start riding to Uhuru peak, arriving at Uhuru peak spends some few minutes or Taking photos and then riding down to Stella Point. After Lunch lunch ride down to Horombo. Cycling distance 21 Km. today is 90%. Vegetation: summit zone. Day 5. Horombo Hut(3720 M) – Kilema gate (1800 M) After a leisurely breakfast, make your final riding down to Kilema gate across the alpine and the rain forest to Kilema gate, then you will be transfer to Marangu gate for check out and then to your Hotel, Cycling distance 19 Km. Vegetation: Forest and Moorland.